April is National Poetry Month. If you have students who need a little help crafting poems, have them try Word Mover. 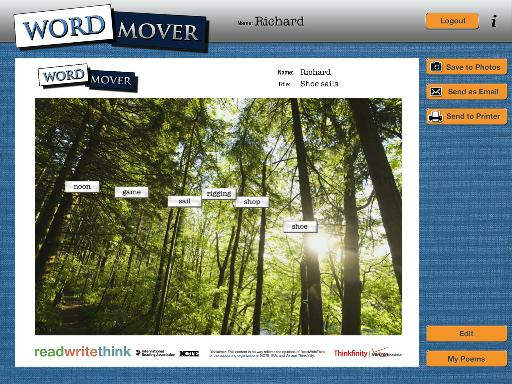 Word Mover from Read Write Think is a free app that helps students develop poems and short stories. When students open the Word Mover app they are shown a selection of words that they can drag onto a canvas to construct a poem or story. 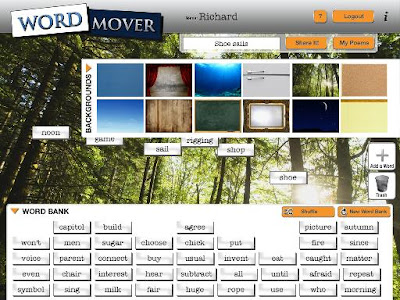 Word Mover provides students with eight canvas backgrounds on which they can construct their poems. If the word bank provided by Word Mover doesn’t offer enough words they can add their own words to the word bank. Word Mover could be a great app for students to use to as a story or poem starter. The app reminds me a bit of those refrigerator magnets that were popular for a while. You know, the ones that had individual words on them that you dragged around to create funny sentences. 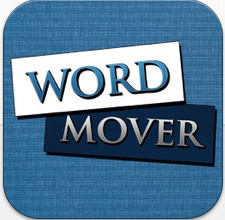 The same idea can be applied to Word Mover. Word Mover is available for iOS, Android, and Web use.